Direct mail embraces the possibilities of digital print. Variable data is cost effective when run on a digital press and today’s direct mail pieces require some form of variability to make recipients stand up and raise their hand. Direct mail isn’t the only type of mail product out there, although it is one heavily discussed. When it comes to print and mail centers, a number of other products and services are offered. 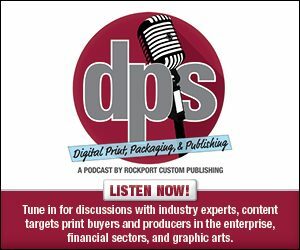 Known for their production capabilities, inkjet devices continue to advance in speed and quality, prompting increased adoption rates. A year is both a short and long time for developing trends in the document management and digital print space. As we wind down on 2015, it is important to take a moment to reflect on important happenings from the past year to help set the stage for a successful 2016. Print providers that maintain a commitment to environmental sustainability are aware of the responsibilities they must adhere to on a regular basis. Sustainability is a top concern for many businesses and their clients. Every five years, Canon showcases its products, technologies, and ideas at the Canon EXPO.